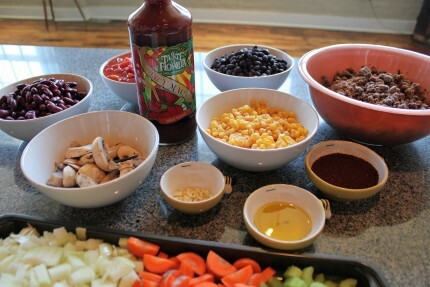 We set out with the goal of making a simple, delicious and vegan chili using Taste of Florida Spicy Bloody Mary mix. What we ended up with was even better than expected! This recipe is a great starter. 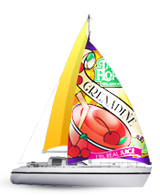 You can easily change around ingredients to suit your personal tastes. 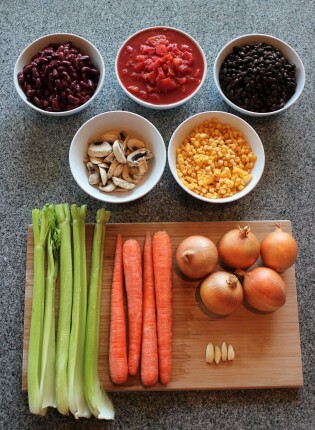 Simply switch out the type of beans or vegetables used and voila! 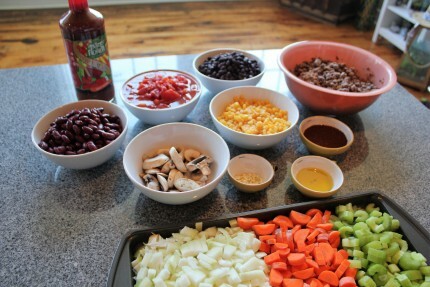 a customized chili exactly how you like it. 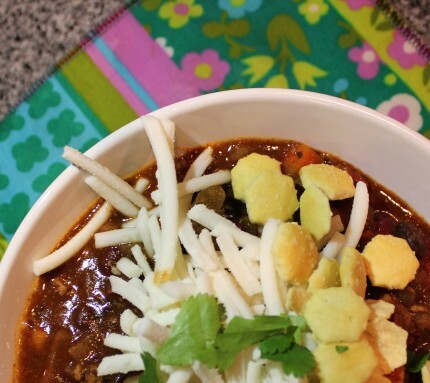 Chili is the perfect comfort food, warm and nutritious. This recipe is perfect for a family dinner or as a meal to freeze and save for later. In this recipe, we used a vegan veggie ground, however, this is completely optional. 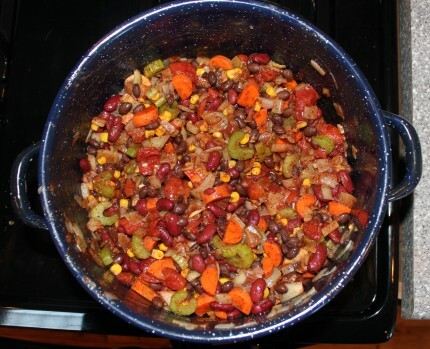 If you’re looking to keep the recipe vegan or vegetarian, you can swap the veggie grounds for extra beans. If you aren’t vegetarian or vegan, feel free to use ground beef. Prep the vegetables by chopping the onion, celery, and carrots. Heat the olive oil in a large saucepan over medium-high heat. 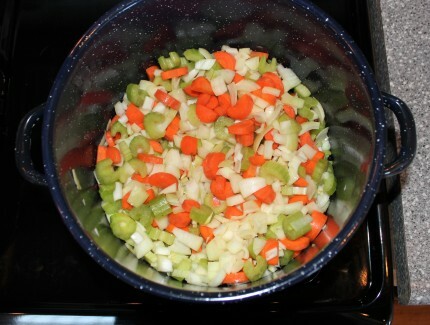 Add the onion, celery & carrots. Cook, stirring frequently for around 8-10 minutes. Add the garlic and cook for a few more minutes. 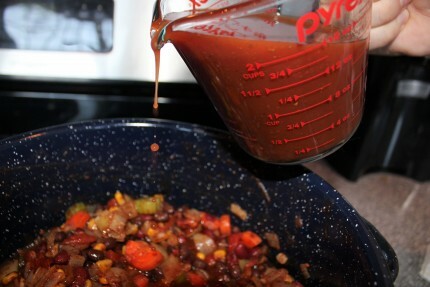 In a separate pan, on low heat, simmer the veggie ground with the cumin. 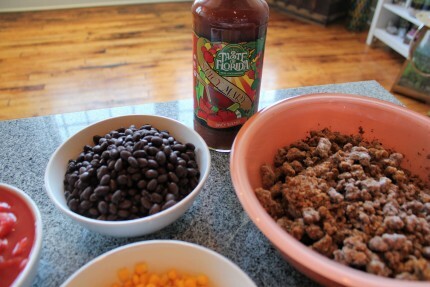 Add the tomatoes, beans, corn, veggie ground, chili powder, cilantro and salt. Stir well and simmer over low heat, stirring occasionally. 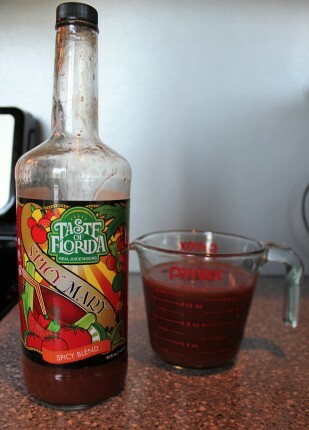 Time to add your TOF Spicy Bloody Mary! We used one 32 oz. bottle of Spicy Mary to perk up our recipe and it turned out amazing! 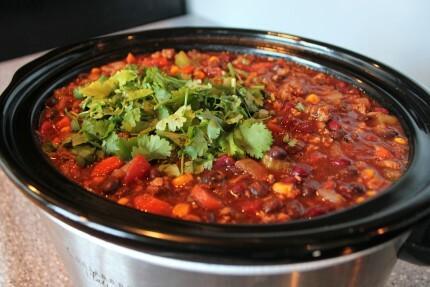 Once all the ingredients were mixed together on the stove, we moved the chili into a crockpot to really absorb all the flavors. 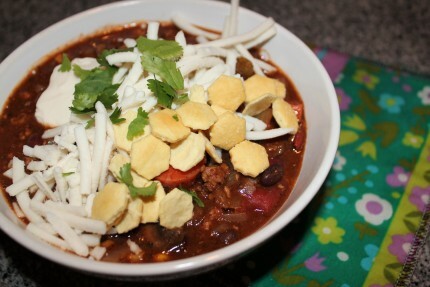 This chili honestly just continued to get better and better. It reheated perfectly and was simple to create.